Letters of Note: Is there a Hustler for kids? Is there a Hustler for kids? 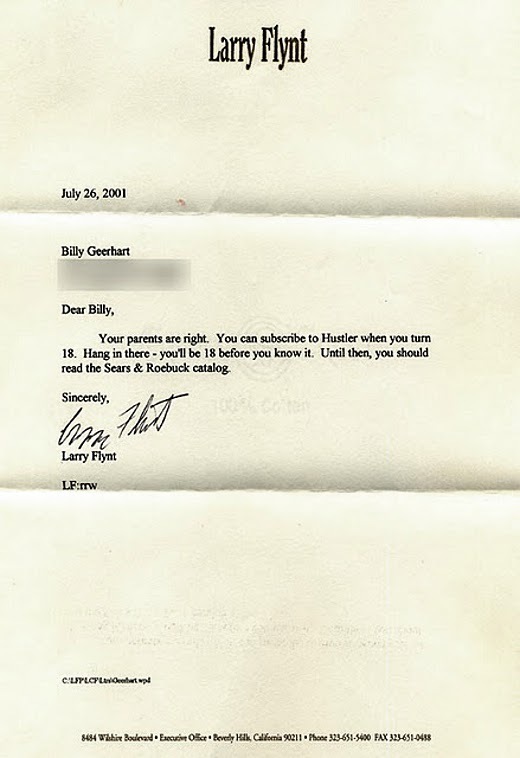 Back in 2001, writer and humorist Bill Geerhart posed as a 10-year-old boy and wrote to Larry Flynt, founder of the pornographic magazine Hustler. Below is his letter, and Flynt's response. Thankfully Flynt wasn't the only recipient of a letter from little Billy, and in fact Geerhart sent similarly amusing missives to a number of notable personalities; many of whom responded. All can be enjoyed in the genuinely hilarious book, Little Billy's Letters. My parents said I could subscribe to your magazine when I turn 18. 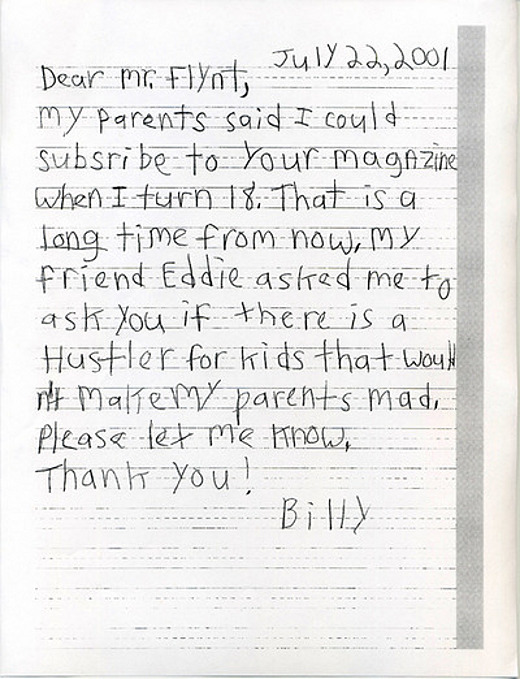 That is a long time from now, my friend Eddie asked me to ask you if there is a Hustler for kids that wouldn't make my parents mad. Please let me know. Your parents are right. You can subscribe to Hustler when you turn 18. Hang in there - you'll be 18 before you know it. Until then, you should read the Sears & Roebuck catalog.